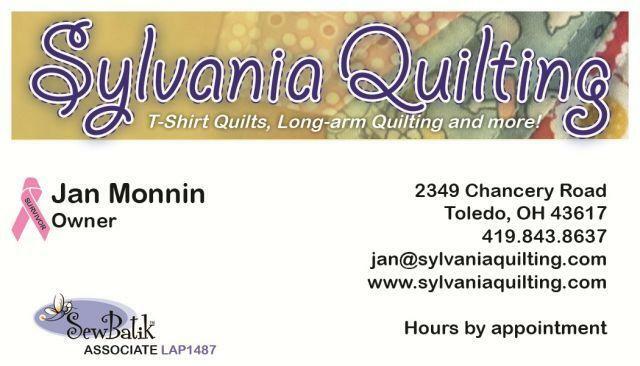 You can customize your t-shirt quilt even more by adding an embroidery block. You can choose to add a name, initials, one letter or the year to any block in the quilt. 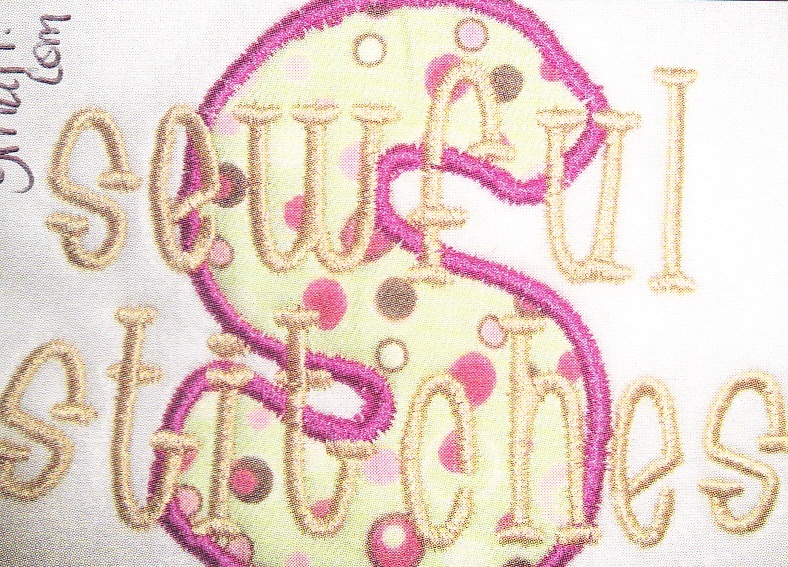 We have partnered with "Sewful Stitches", a local embroidery company to bring you custom embroidery to your quilt. There is a base charge of $10 per t-shirt square. Generally, 1 inch letters up to 6 characters, or a larger letter, are included in the base price. 2 to 5 inch letters are more, because it takes more time and more thread to make those. This is an example of what is called "embroidery applique". It's fabric appliqued or stitched on top of other fabric. Then secured around the edge of the character with dense stitching. It's beautiful. This is an example of an embroidery block we made for a memorial quilt.